The Filipino people impatiently await the singing of the Philippine National Anthem whenever Manny Paquiao has a fight in the boxing arena. It seems that it has been a tradition of the National Historical Institute to censor every artist’s faults in singing the National Anthem on a modified version. It was only recently that Charice Pempengco sang it correctly in two occasions; first at the 2010 Presidential Inauguration, and second, on the Paquiao-Mosley Fight. 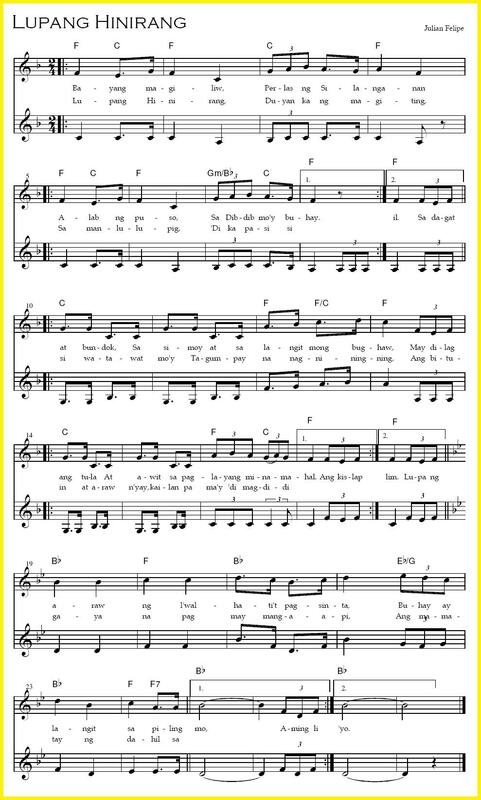 R.A. 8491 specifies that Lupang Hinirang “shall be in accordance with the musical arrangement and composition of Julian Felipe.” However, when literally followed, this means that the national anthem should only be performed by a pianist or by a brass band, as these were the only versions that were produced by Julian Felipe. Giving them the benefit of the doubt, it is difficult for singers to keep up with the music because the original version was composed in duple time (i.e. in a time signature of 2/4) as compared to the present quadruple time 4/4, making it uncertain if this will either slow down or even double the music’s speed. However, what I can’t understand is that, why do we equate seriousness and solemnity with slowness when it comes to singing of the National Anthem? It’s a march played during the proclamation of the Philippine Independence! Isn’t it supposed to be sung with fervor as it was originally composed? This is our National Anthem – a symbol of our Nation and a witness to our independence. Give justice to it! Singers should have control as they sing it; without so much embellishments, renditions, and modifications! Artists and Choral Groups are totally in error when they modify the tone, put second voices, etc. on the National Anthem. We felt so liberal in modifying our National Anthem to suit our musical taste. What we do not realize is that when we continuously stray from its original version and tempo, it somewhat lose its gravity and historicity too. Posted on February 16, 2012, in CULTURE, Education and Teaching, Lifestyle, Philippines/Filipino, Philosophy and tagged Bayang Magiliw, Lupang Hinirang, music, Nation, National Anthem, Philippines, tempo. Bookmark the permalink. Leave a comment.